Thanks to the generous support of Patagonia Media Grants, Friends of Plumas Wilderness worked with Director / Cinematographer Matthew Ritenour to produce a film celebrating the story of the Feather River through interviews with local historians, ecologists, conservationists and outdoor recreation enthusiasts. 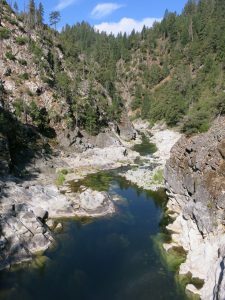 The film emphasizes the importance of the Feather River while showcasing its unique history and beauty. 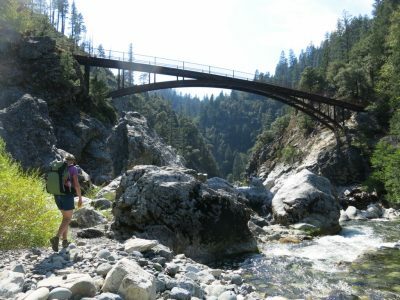 The film explores how people need free-flowing rivers and wilderness for solitude and inspiration, showcasing the dreams of local people, and highlighting how we are connected to one another by the Middle Fork of the Feather River. The film aims to increase awareness of threats to the Feather River and other rivers in the region and inspire viewers to protect public lands. The title of the film is “Visions of the Lost Sierra” Total time: 14 min. Water is essential for life. The Middle Fork Feather River is crucial for fish and wildlife (Wild Trout Fishery), is the primary source of drinking water for Californians (State Water Project), and was one of eight Wild and Scenic Rivers designated in 1968 (designation prevented it from being dammed). Wild places are priceless. There is great value in sharing one’s love and knowledge of a special place with others. Recreational endeavors can lead to a deep understanding of one’s place and relationship with others. Be in the present. Being in a wild place demands that you are in the present moment. Now is the time to protect wild places. There are opportunities to protect wild places today before they are threatened. The National Wild & Scenic Rivers System was created by Congress in 1968 to preserve free-flowing rivers with outstanding natural, cultural and recreational values for the enjoyment of present and future generations. 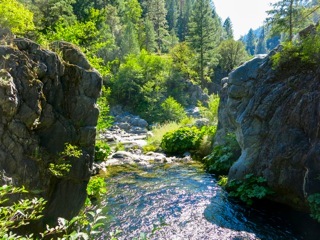 California’s Middle Fork of the Feather River was one of eight “charter rivers” designated with the passage of the Act. Next year marks the 50th-anniversary celebration of this important legislation and the protection of the Middle Fork of the Feather River. The 100-mile long Feather River flows through the largest watershed in the Sierra Nevada and is the headwaters of the State Water Project, supplying water to 23 million Californians. The Middle Fork of the Feather River watershed is a hidden treasure with world-class recreation opportunities: some of the best wild trout fishing in California, 32 miles of Class IV-V+ kayaking, 6-pitch rock climbing on Bald Rock Dome, 10.5 miles of the Pacific Crest Trail, the 8.8 mile Hartman Bar National Recreation Trail and the 8.0 mile Feather Falls National Recreation Trail. Although a ½-mile wide corridor along the Feather River has been protected, the larger watershed faces threats from pollution, the proliferation of user-created roads, illegal dredging and marijuana growing, spills from oil trains and low-level military over-flights. An estimated 200 miles of river in the Lost Sierra meets Wild & Scenic River standards and 80,000 acres of riverside lands may qualify as Wilderness. However, existing Forest Plans for the Plumas and Tahoe National Forests do not recommend any Wilderness. In the coming years, we will work with conservation partners and the Forest Service to inventory areas that may meet the requirements for Wilderness and Wild & Scenic River designations. Through this process, we aim to build Forest Service and public support for Congressional protections. Our film aims to 1) inform viewers about the significance of the Feather River as the headwaters of the State Water Project, 2) celebrate the Middle Fork of the Feather River, as one of eight “charter rivers” protected with the passage of the Wild & Scenic Rivers Act, 3) educate viewers of the natural, cultural and recreational values of Wild & Scenic Rivers and Wilderness for current and future generations, 4) inform the public of opportunities to preserve additional rivers and riverside lands of the Feather River as Wild & Scenic and Wilderness, 5) show viewers how they are connected to the Feather River by the State Water Project, and 6) inspire citizens to sign petitions and motivate them to write land managers and elected officials. Darrel Jury, president of the board, has an M.S. in Wildland Management from Colorado State University and has managed Wilderness Areas for the National Park Service, Forest Service and Bureau of Land Management. Darrel worked with Winter Wildlands Alliance and Pup N’ Suds Productions to produce Home: A Place Worth Protecting. 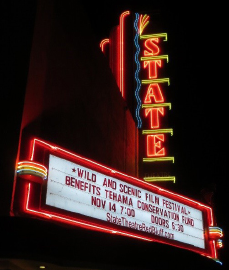 The short film was featured in the Backcountry Film Festival and viewed by over 20,000 people. 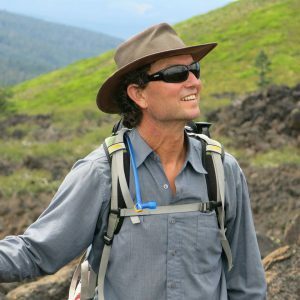 Friends of Plumas Wilderness is partnering with Emmy Award winning Director / Cinematographer Matthew Ritenour to create Wild Rivers of the Lost Sierra. Matt is a 2014 Chico State University graduate in Anthropology who worked in the Advanced Laboratory for Visual Anthropology, a facility that incorporates digital cinema technology into anthropological research. 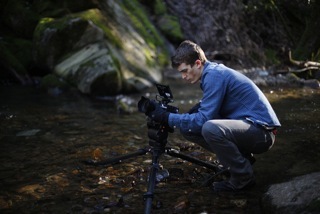 Matt’s training brings a rare perspective to the craft of filmmaking. Blending the best of documentary and cinematic storytelling techniques, his focus is sharing the results of research in Anthropology with the public. Ritenour and Jury met at a Traditional Ecological Knowledge Symposium that Darrel helped organize in 2014. Matt documented the weekend event and created the film Ummotodom Ka’enkes Maidu: Gathering of the People. Friends will recieve our newsletter, featuring important information & events regarding Plumas wilderness. Friends of Plumas Wilderness is dedicated to studying, exploring and maintaining the integrity of natural ecosystems in the Northern Sierra and Southern Cascades of California. © Friends of Plumas Wilderness, a 501(c)(3) nonprofit organization.